The VCARC network consists of the following repeaters in order of installation. Both use the W9VRC-R call sign and 114.8 PL. EAGLE RIVER, 145.150 with (-) offset, located at the Eagle River Memorial Hospital Ambulance garage, with a Diamond X700H dual-band antenna at the 85 foot top position. The repeater is a Yeasu DX-1 running 5 watts into a Henry Power Amplifier with about 90 watts out of the Remec-Waco duplexer duplexer. We have a passband and special preamp for adjusting receive gain to minimize desensing issues. These custom items courtesy of Jeffrey KD9FYU, Kitz Technologies, our lab Tech Team member. A Motorola 30 amp continuous duty power supply rounds out the mix. Most of the equipment was donated by area hams. As of June 1, 2018, the repeater is in AUTO C4FM/Analog mode for all users of either mode. 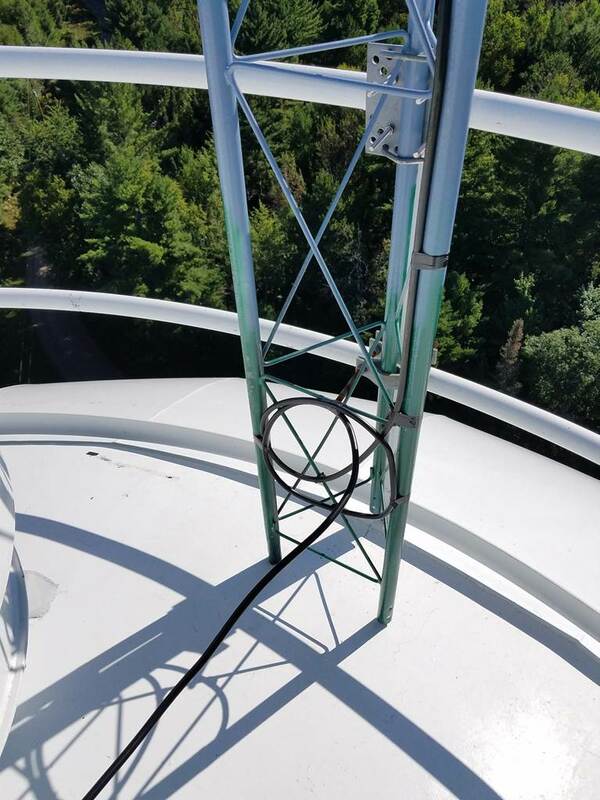 This repeater also has an Echolink connection, with equipment located at the Eagle River FD station. The node currently shows as Land O' Lakes, but is actually the Eagle River repeater, often called the 'Ministry 150' or similar. Node # 691369. LAND O' LAKES, aka 'Lando 390', on 145.390 with (-) offset, located on the Land O' Lakes water tower, just NW of town, with a Diamond X700HNA antenna at 160 feet Above Ground Level [AGL]. This system uses a Motorola MSF 5000 repeater and controller capable of nearly 200 watts, set at 100 watts into the 4 can Sinclair duplexer. Primary equipment donated by Dave KB9WCK of Manitowish Waters. New 7/8th" low loss hardline routes the RF to antenna. 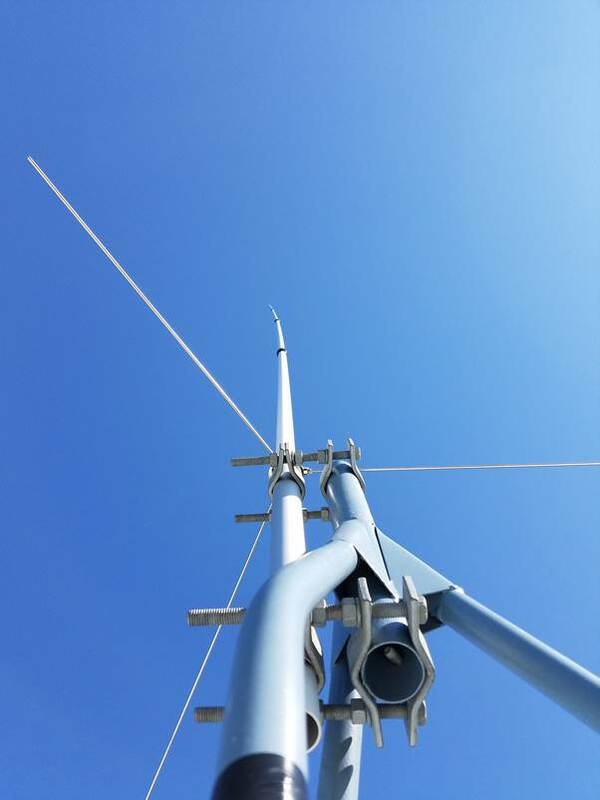 Antenna swap was completed 9/8 by Len N9QIP, an awesome effort by a real life pro. 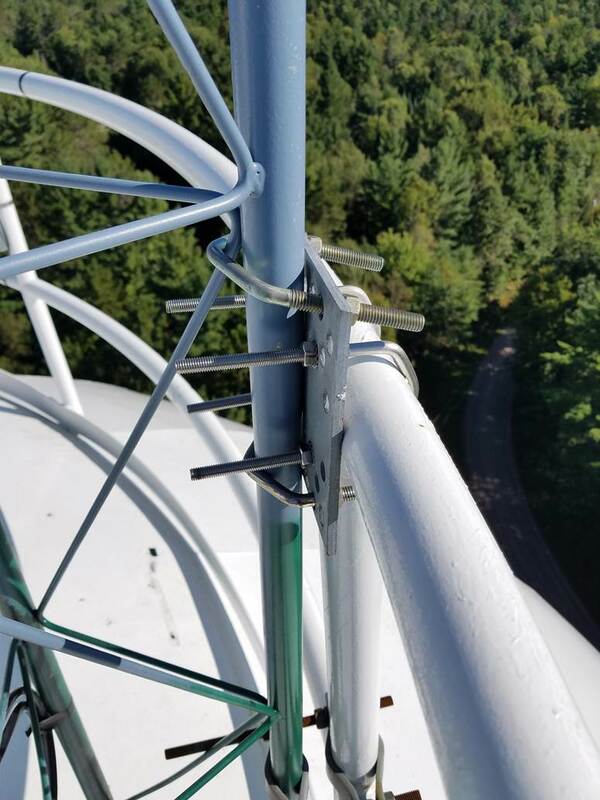 The new Diamond antenna checks perfect. Old one waiting forensics. See images below. October 14 update: Repeater fully operational. KD9EPX will be monitoring it once again almost 24/7, please sent signal reports by email or on air..It can now be hit well with 5w HT from Eagle River. 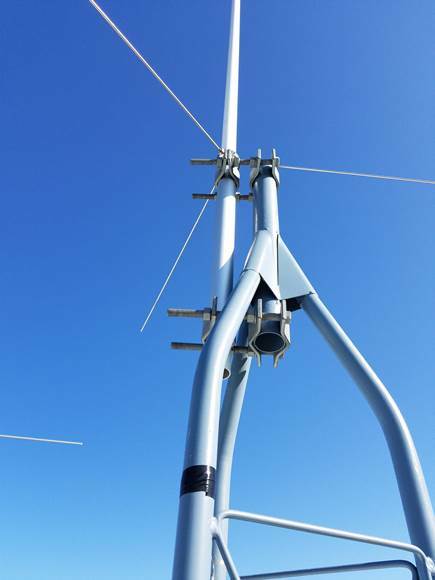 For Lando 390, a new Diamond X700HNA antenna is completed, adjustable preamp pending. Discussions are in process for an all mode digital hotspot, which could wind up at either tower as of June 2018.